Fish can be so simple - and so difficult. It is a mystery to many, and while fishfingers are easy to cook, it's a shame not to treat your tastebuds to the many delicate, delicious types of fish out there. Fish is a fantastic source of protein and good fat, recommended by all nutritionists. Many of us order fish when we eat out because we think we could never make it at home, but it's not all that hard! What should you look for when choosing fresh fish? Should be tight, firm and shiny. Test by pressing it with your finger (it shouldn't leave a dent/mark). Should be round and shiny. The film over the eyes should be transparent, not cloudy. Fresh fish shouldn't smell bad; it should just smell of the sea. When you gut the fish, the fillets should come off easily (you should just have to hold sardines by the head and run your index finger and thumb down the central bone to get the fillets off). A thick slice cut perpendicular to the backbone. The fillet is cut parallel to the backbone of flat fish and from the tail of fat fish. You get 2 double fillets per fish. A thick slice of the fillet cut from large fish such as tuna, salmon and swordfish, often grilled. Some tails (monkfish, for example) are sold on their own, whole, cut from the head and lower body. Presentation is an issue with monkfish, because the head just doesn't look good at the fish counter. The cheek is very tender, soft, rare and expensive (a bit like chicken oysters, said to be the best part of the bird). Fish is like anything fresh: you have to buy it in season. Check out what's available and in season at the fish counter or fishmonger's. Go on quanitity/price per kilo. A 150g salmon steak contains as much fat as a steak of meat! The difference is that fish contains Omega 3 fat, which is very good for your health. 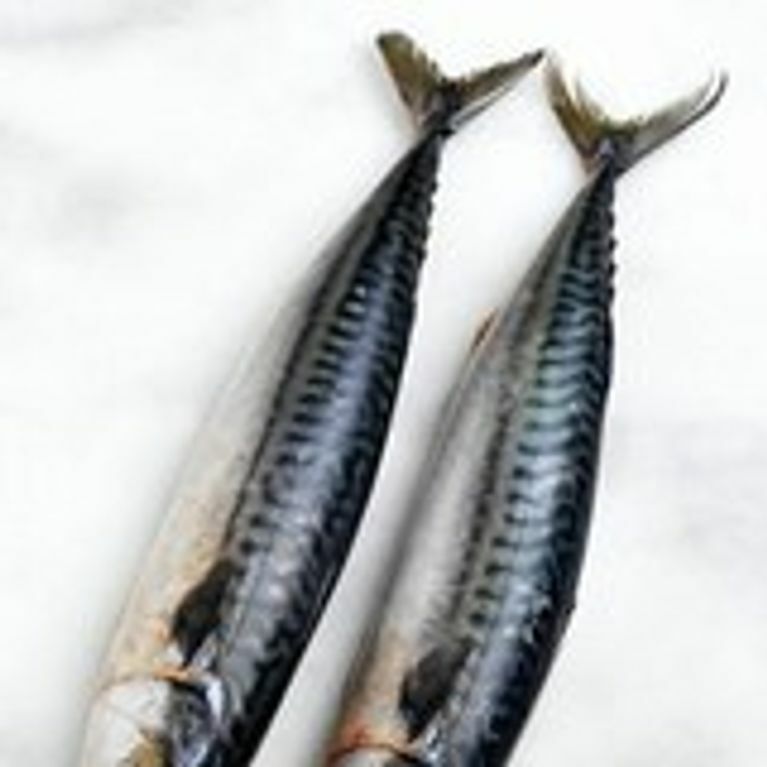 So vary lean fish (sole, monkfish, cod, plaice and turbot) and oily fish (salmon, tuna, sardines, mackerel and herring). Not always. Obviously, fishing affects natural aquatic resources, but industrially-fished fish is still good quality fish. Remember above all that fish is delicate and has to be properly cooked for the right length of time. Wrong, if the fish is frozen soon after fishing and sold frozen. But fish sold in supermarkets or bought at markets may have been fished and then frozen between 1-15 days afterwards (like some meats, some types of fish may take a few days' defrosting before they're ready). Don't defrost fish too fast, or you could lose your vitamins and nutrients in the water it gives off. Tartare is a mixture of minced, seasoned fish (seasoned with lemon, lime, olive oil, chilli or coconut milk, for example), served in a glass dish or turned out onto a plate (like steak tartare). You can mix chopped fruit or vegetables in as well. Tartare should be made at the last minute, or a few hours beforehand if you're adding lemon (the acidity 'cooks' the fish). Fish carpaccio is thinly sliced, seasoned fish. It's like tartare, but comes in slices instead of a minced mixture. These are made by chopping the fish into various shapes and serving it either alone (sashimi), set on a mound of vinegared rice (sushi), or wrapped in a sheet of algae rolled with vinegared rice (maki). Steaming is very healthy because it uses no fat, which is also why steamed food is often accused of being bland. The seasoning is crucial, then: a good tip is to keep the cooking water and gastric juice from steaming and pour it over the fish to serve. You can also pop herbs or spices in the bottom compartment of your steamer to flavour the fish. Foil baking reduces washing up, doesn't require any fat and doesn't dry fish out. It works especially well with oily fish. Use baking paper rather than aluminium foil. For a half-cooked fillet of salmon, tuna or swordfish, for example, cook fast over a high heat. Use a moderate heat for fillets and whole fish. Fry alone, rolled in flour, egg white and cornflour or breadcrumbs, and keep a close eye on your pan. Oil is better than butter, which easily goes black. George Foreman-style grilling machines are perfect for fish because they heat food quickly on a high temperature - great for fish that shouldn't be cooked for too long, and for small pieces such as mullet fillets and monkfish medallions. Whole fish, steaks or fillets (skin side down), can be baked on their own or on a bed of vegetables, either in an open dish or covered in aluminium foil. Cook slowly over a gentle heat (70-90°C) for tender, moist fish. Cooking fish with a salt crust makes it tender, soft, juicy and salty, but not dry. The fish shouldn't be de-scaled before cooking. Either place it on a bed of salt or roll the entire fish in salt. Cook for around 20-40 minutes, depending on the size of the fish, at 180-200°C. Fish can be fried in fritters or fried whole (cod, plaice, haddock and sardines) by dipping it in batter made from flour, eggs and beer, or rolled in flour and egg white. Tempura is a Japanese batter that's much healthier than the usual fish-and-chip batter, made using cornflour, fizzy water and egg whites. The fish is dipped in chilled Tempura batter and then fried in very hot oil. To poach fish, place it in a small amount of flavoured stock or milk and it will take on the flavour as it cooks. Pike and other freshwater fish are often poached and served cold with mayonnaise-style sauces. Raw fish can be marinated in various lemon or vinegar-based marinades, because their acidity cooks the fish. You can pan-fry them as well, but often the marinade is enough to cook them. Anchovies can be marinated in salty water for 30 minutes and in vinegar for 30 minutes, then drained and coated in oil to preserve them.